A few years ago, I decided that I was done with trendy shoes. Instead I was just going to stick with well made, classic shoe styles. To be honest, I don't get most shoe trends anyway... like knee high boots with cut-out toes. How is that even practical? One style of shoe which I never tire of is the little black flat and I own more than a few pairs. They may not be flashy but they are a great style staple to have in your closet as they come in a variety of designs, can be dressed up or down and paired with any number of looks. Alexa Chung has been spotted wearing black flats on more than one occasion and she's a style icon. These beauties are the latest addition to my closet. They're called Libby and they're from Walin & Wolff. They're made in Italy of kid leather with a patent cap toe and heel. It features a classic almond toe with a 1/2" heel. The shoes are medium width and fit true to size. I found them to be pretty comfortable straight out of the box. The leather is soft and there is a lightly cushioned insole. I probably walked around for almost an hour in these the first time I wore them and didn't really experience any discomfort. I sometimes have issues with pinching in the heels with new shoes and this wasn't a factor here. Because they have a leather outsole, these probably aren't the type of shoes I'd want to walk in all day but it's nice to know that I can walk in them. I'll have to remember to get the bottoms reinforced so they won't wear out so quickly. I appreciate their easy chic and timeless ballerina style and look forward to dressing them up with skirts and dresses like Alexa. The price of these shoes is $228 which is a little costly but not prohibitively expensive considering the ever escalating prices of designer shoes which may not be as comfortable or well made. I've learned my lesson with mediocre shoes and I'd honestly rather have less pairs these days as long as the shoes are of good quality because they will last much longer. So I'm pretty excited about my shoes from Walin & Wolff and you might be asking who are they? Well Walin & Wolff is a relatively new specialty retailer carrying the latest women's designer shoes, handbags, accessories and jewelry. The company has a strong fashion industry background since it was founded by Christine Johnson Wolff, a former CEO of Saks Fifth Avenue and Kim Walin, a former Wall Street analyst covering retail companies. Along with their online shop, Walin & Wolff currently has two retail stores in New Canaan and Westport, Connecticut and in Rye, New York with more shops in the works for the greater tri-state area. <In addition to their in house Walin & Wolff brand of shoes, they offer a well curated range of designer and lifestyle brands including Aquaitalia, L.K. Bennett, Chloe, Rebecca Minkoff, JImmy Choo and Valentino just to name a few. Be sure to stop by their site and sign up to receive 10% off. They offer free shipping on all orders within the US. You can also connect with Walin & Wolff on Twitter, Facebook, Instagram, Google+ and Pinterest. What are your thoughts on little black flats? Do you wear them? Disclosure: A complimentary pair of shoes was provided by Walin & Wolff for the purposes of this review. There was no other compensation and all opinions expressed are strictly my own. I love these shoes. Simple but still very elegant. I don't have a pair of black flats but I did just purchase an all-white one last month and it's super duper comfy. Am loving it. Let's put our best foot forward, shall we? Enjoy your week ahead, Rowena! These are lovely, Rowena. Classics like this are always worth the price. I like them! They're very pretty and cute. Those flats are stunning and classic. What a gorgeous pair of classy black flats. Indeed they are staple, but something that I can totally live without. Lol I'm not fond of black shoes. But yours are gorgeous. they are a beautiful pair. i had ones that were similar and they were just really really great to have around. and i love that it has a little heel! I do wear flats as I am really tall and I afford wearing heels only on a special occasion (NYE, b-day, etc.). These are really cute! Actually I loved them from the 1st photo! Yes, they are a bit pricey but I bet it feels good in them! There are trends I don't understand either. But your example made me laugh so hard! Where have you seen those? Sounds terrible! Haha! Have a good day! Looks nice but I dont like too much this type of shoes! beautiful shoes. I gotta one question : how many is your daily traffics? Very elegant and ladylike... I love them!! Definitely classic and very elegant! I have always wanted to wear shoes like this pair but my addiction for high heels are a force to be reckon with, am still trying hard to break the bad habit. LOL! Flats can never go wrong! I actually bought a pair for $8 before and they've lasted me so so long without sacrificing any comfort at all. Sometimes you can score with cheaper shoes. and they look chic with anything. So classy, so timeless, so lovely!!!!! Definitely a classic! I love them - they are beautiful shoes! And I agree with you, I don't mind paying more for shoes that are comfortable and will last. I'm definitely a shoe person...but the shoes in my closet that I have had the longest are good quality brands with timeless style. Those are pretty, definitely a staple in the wardrobe. 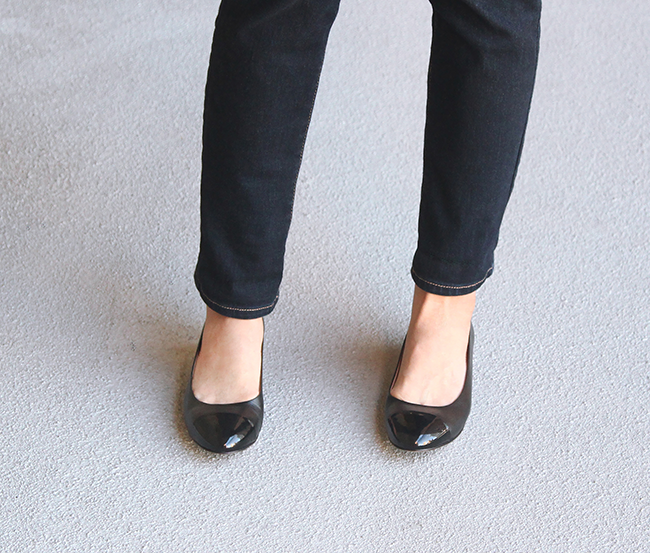 When I'm not sure what to wear with an outfit, I always reach for my black flats; it's a safe bet. I used to be a heels only girl until I got in college and had to ditch the heels for shoes that were comfortable to walk to class in. I wanted to wear shoes that were comfortable but still cute and could be worn with skirts, so I discovered flats! Now that I work, I still wear mostly heels, but occasionally I will wear flats when I want an effortless, comfortable look. I like those Libby shoes, but I'm not sure I would be willing to pay $228! I think I will stick to the $40 DSW finds until I marry that rich husband! Yes they are a little pricy but so beautifully classic. Really beautiful. I'm doing the same thing Rowena! Those are fabulous. Love the leather and patent toe. You can't beat quality and your feet will thank you. As soon as I read the title of this post, I was already nodding in agreement. Every gal needs to invest in a great pair of black flats. They're transcendent and work with everything in your closest. Hi Rowena, these flats look so classy and chic. I haven't heard of this online shop before and checked out the site. They have so many amazing shoes. Unlike you I'm shoe mad but when it comes to my everyday shoes it's always the flats. Have a happy Thursday!! Just catching up on your posts after my holiday. As much as I like heels, especially in the evening, I absolutely love flats. In fact I have a very similar black pair by Pretty Ballerinas with a tiny heel like yours. I find it hard to resist lovely shoes (and bags!) I must inverstigate this brand. Love it. So comfy and cute. Nice. Those shoes are amazing. 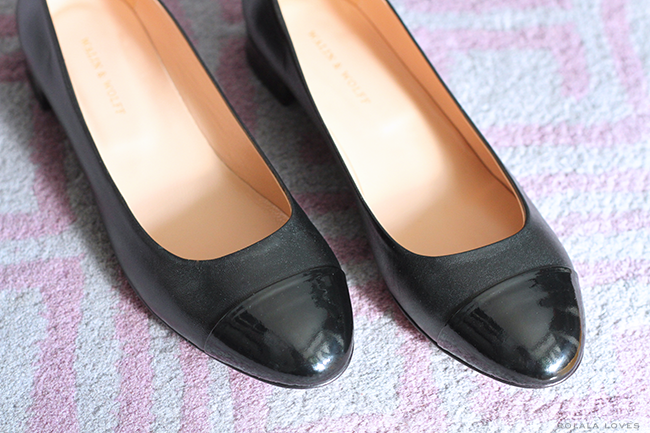 Black flats are so practical and will never go out of style! I think you made a very wise choice. They are super chic and you can tell they are of good quality. I myself need to get some though I doubt I will find a pair that quickly. My feet are terrible, just terrible! 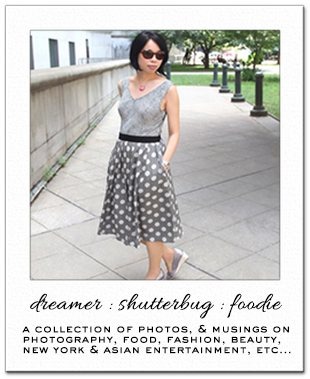 I wear black flats and would definitely consider them a staple for any wardrobe. I have always paid more for good leather boots that last for years, but flats, I've always worn to death, At the moment I have one black pair from Ferragamo, but they aren't the best fit cause I got them on sale and they didn't have my size. I should really invest properly eh? 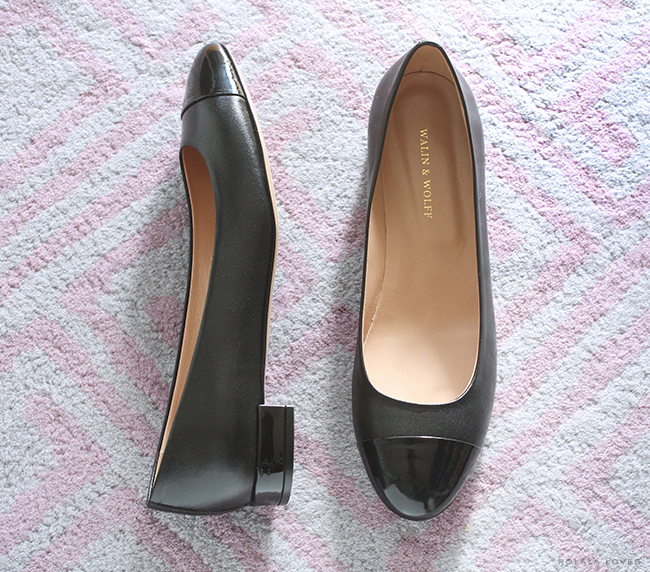 Black flats are definitely a staple for anyones wardrobe. I agree that they can be dressed up or down, and they are so comfy! I wasn't familiar with Walin & Wolff, so I'm going to have to look into them. I currently use Jeffrey Campbell's "Love Flats" as my black staple. 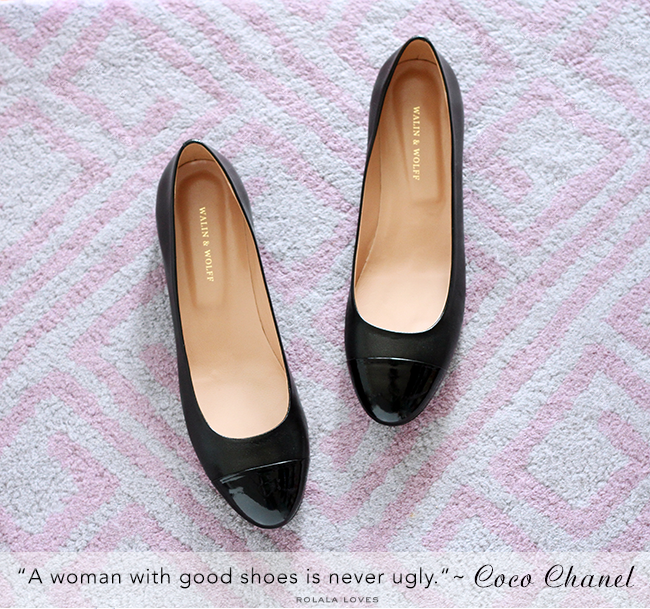 Can never go wrong with black flats! I'm still trying to find my perfect pair.